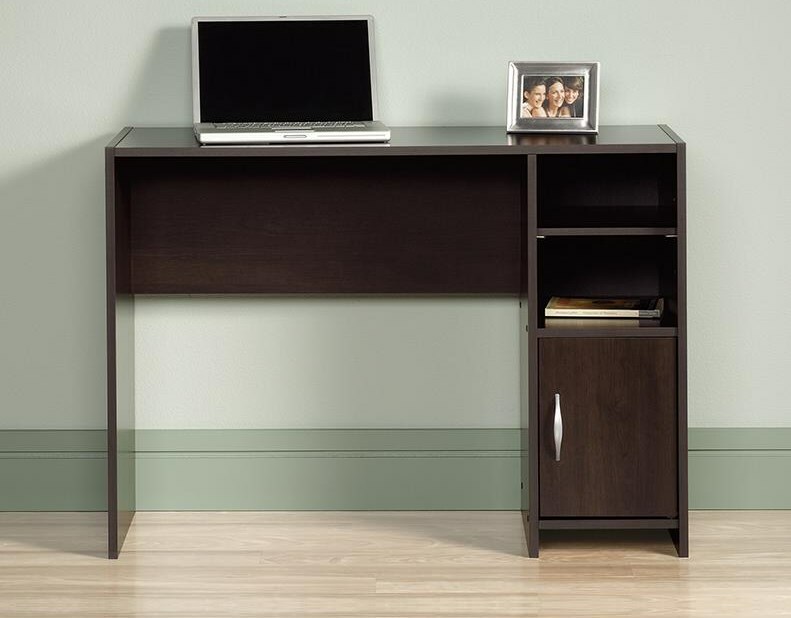 The Beginnings Desk by Sauder at Sam Levitz Furniture in the Tucson, Oro Valley, Marana, Vail, and Green Valley, AZ area. Product availability may vary. Contact us for the most current availability on this product. Finish & Paint Options Available in a variety of popular finishes. Handles & Hardware Simple hardware styles vary from finish to finish. Drawer Suspension Metal runners and safety stops. The Beginnings collection offers a variety of affordable pieces that are ideal for youth rooms, family rooms, dorm rooms, apartments, and first homes. Available in multiple wood finishes, these simple and functional pieces will blend with almost any style of home. 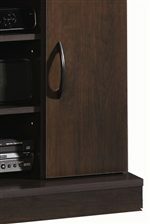 Convenient storage solutions like adjustable shelves, keyboard drawers, and CPU tower space makes these pieces perfect. When you need simple style and great function, this collection will have a solution to fit your needs and your space. The Beginnings collection is a great option if you are looking for Contemporary furniture in the Tucson, Oro Valley, Marana, Vail, and Green Valley, AZ area.